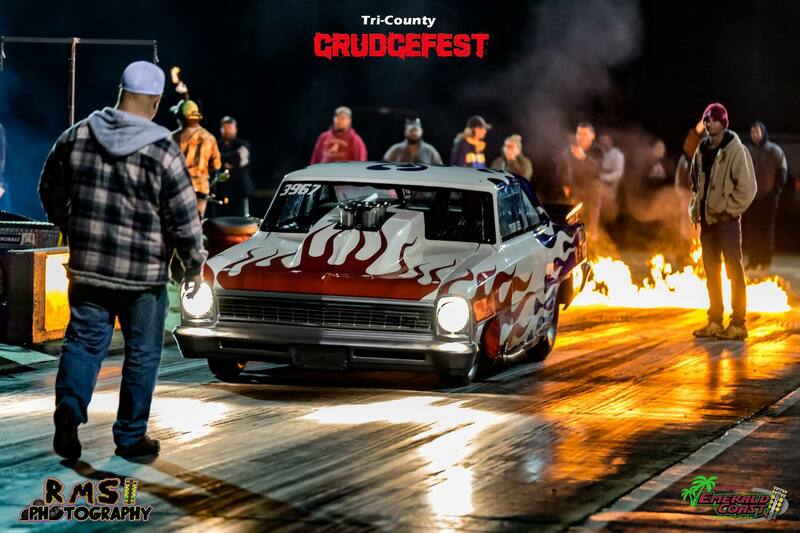 Bobby Ducote VS 850 TOP TEN – GRUDGE FEST THIS WEEKEND! 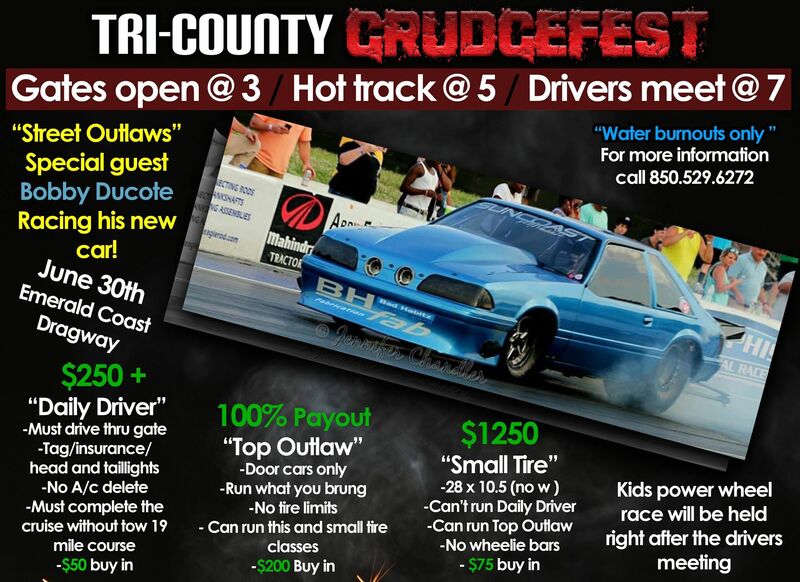 Discovery Channels Street Outlaws star Bobby Ducote gave us a call earlier in the week regarding some testing after a converter update while he was in town visiting SunCoast so he could get ready for an upcoming No Prep Kings filming and it just so happened we had our (no prep / no time) Tri-County Grudgefest this weekend! One thing lead to another and him joining us for the race fell into place and him racing in the Top Outlaw class against the 850’s toughest hometown big tire competitors. 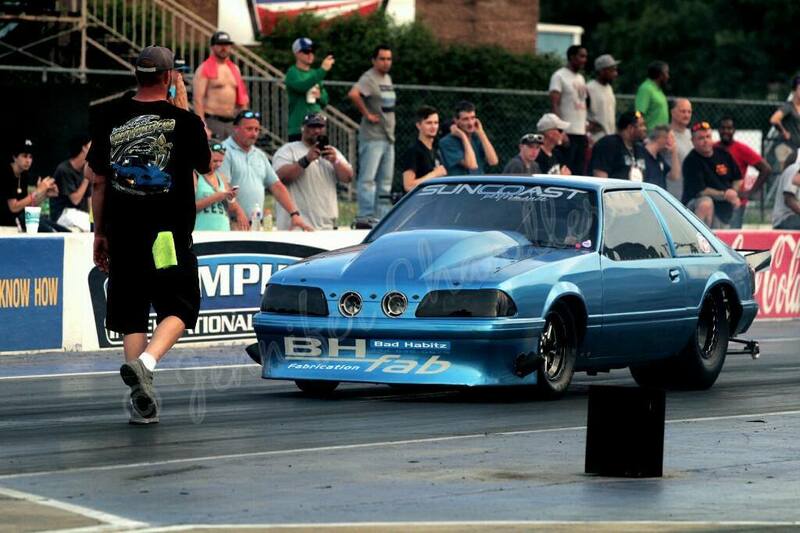 Bobby’s big tire car looks a lot like “lil legend” his renowned small block nitrous no time car but that’s where the differences stop. Unlike the lil legend, the big tire car packs a 565″ Hemi under hood fed by twin 98mm turbos and is rumored to make well north of 3000HP. 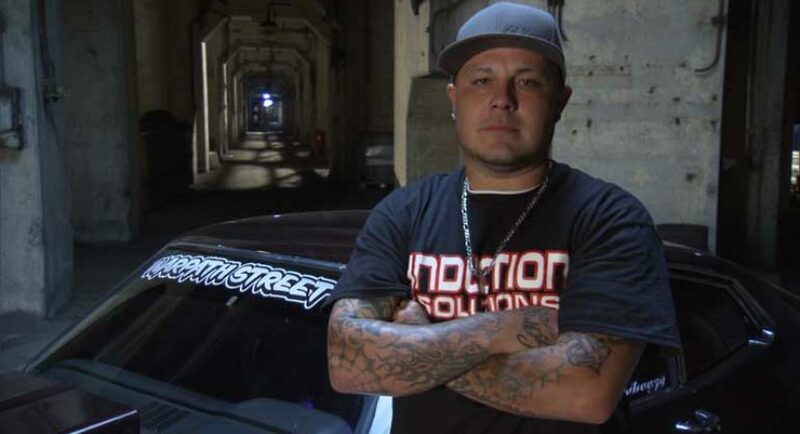 Join us Saturday June 30th when the gates open at 3PM to meet Bobby Ducote, grab a picture with him or even an autograph or two and watch the evenings racing action go down. Track goes “hot” at 5pm, drivers meeting in front of the staging lanes at 7PM, kids power wheels race will be first down the track followed up by our Top Outlaw, Small Tire and Daily Driver heads up racing categories. Pricing is $20 at the gate, kids 12 & under free as always, Mrs Sherry will have the grill ready to show up hungry and we’ve got you covered.